Vicarious liability means liability imposed on one party because of actions committed by another. It arises from the relationship between the parties rather than fault. 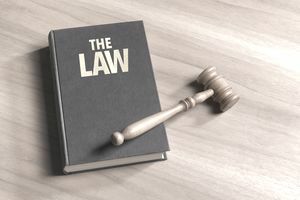 Vicarious liability is also known as imputed liability. Vicarious liability may exist when one party directs the actions of someone else. Typically, the party in control benefits from the acts committed by the other person. For instance, suppose that Bob is voluntarily helping Ralph, his neighbor, construct a fence on Ralph's property. Ralph is much more knowledgeable about construction than Bob so Bob is working under Ralph's direction. Ralph asks Bob to drive Ralph's truck to a local hardware store and buy some lumber. Bob is on his way to the store when he inadvertently causes an auto accident that injures Susan. Ralph might be liable for Susan's injuries because he owns the truck Bob was driving the truck on Ralph's behalf when the accident occurred. even though he wasn't even in the truck when the accident occurred. His liability derives from his power to direct Bob's actions. Employers may be held vicariously liable for torts committed by their employees. The employer's liability derives from a legal theory called respondeat superior, which is Latin for "let the master answer." When an employment relationship exists, the employer (master) has control over his or her employees (the servants). As a result, the employer may be sued by third parties who have been injured as a result of torts committed by employees. Most suits against employers that result from acts of employees involve allegations of negligence. Typically, the employer is sued by a third party for an injury allegedly caused by an employee's negligent act. Yet, employers may also be held vicariously liable for injuries caused by employees' intentional torts. For the employer to be liable, the intentional act must fall within the scope of the workers' employment. For instance, a bar owner is sued by a patron who claims he was injured by a bouncer who assaulted him while ejecting him from the bar. Ejecting unruly patrons is part of a bouncer's job. Thus, the bar owner may be vicariously liable for the patron's injury. Partners act on behalf of the partnership they serve. If a partner commits a tort, the partnership may be held vicariously liable for any resulting injury to a third party. For example, Steve, Jill, and Beth are partners in a law firm. One day, Steve is in his office with a client when he accidentally knocks a heavy statue off his desk. The statue falls onto the client's foot, breaking several toes. The accident occurred when Steve was performing his duties as a lawyer for the benefit of the partnership. Thus, the partnership may be vicariously liable for the client's injury. Corporate directors and executive officers perform their duties to benefit the corporation. Consequently, a corporation can be held vicariously liable for torts committed by its directors and officers. A vehicle owner that allows another person (called a permissive user) to drive his auto may be vicariously liable for injuries a third party sustains in an accident caused by the driver. For example, Carl owns Classic Construction, a commercial building company. One day, Bart, a friend of Carl's, stops by to visit a job site when Carl is working. Carl needs a new extension cord so Bart volunteers to drive to a nearby hardware store buy one. Carl accepts the offer and hands Bart the keys to his company-owned truck. Bart is on his way to the store in the truck when he inadvertently hits a pedestrian named Lisa. Because Classic Construction owns the vehicle Bart was driving when the accident occurred, the company may be vicariously liable for Lisa's injury. Except for sole proprietorships, businesses aren't humans and cannot commit torts on their own. They are legal entities that act through their employees and other key individuals. Businesses can protect themselves against many types of claims arising from their vicarious liability by purchasing a general liability policy. The policy covers sums an insured party is legally obligated to pay as damages because of bodily injury, property damage or personal and advertising injury. An insured business is covered for torts committed by employees, executive officers, or anyone else for whose acts the business is legally liable. Any business that uses autos should purchase a commercial auto policy. Assuming the business is listed as the named insured in the declarations, it is covered for its vicarious liability for accidents resulting from the use of any covered autos. The autos that qualify as covered autos depend on the symbols that appear in the declarations. The auto policy covers the named insured's legal obligation to pay damages for bodily injury or property damage caused by an accident that results from the use of a covered auto. The named insured is covered whether the accident results from his or her own negligence (if the named insured is a sole proprietorship) or from the negligence of another driver.